In middle childhood, pressures may come from a number of sources-from within the child herself, as well as from parents, teachers, peers and the larger society in which the child lives. Pressure can take many forms that challenge children and to which they must respond and, often, adapt. Whether these are events of lasting consequence like the divorce of their parents, or merely a minor hassle like losing their homework, these demands or stresses are a part of children's daily existence. Children welcome some events and are able to adapt to them with relative ease. They perceive other events as threats to their own or the family's daily routines or general sense of well-being, and these stresses are more troublesome. Most stress faced by children is in the middle, neither welcomed nor seriously harmful, but rather a part of accomplishing the tasks of childhood and learning about themselves. Youngsters may also worry about making friends, succeeding in school, combating peer pressure or overcoming a physical impairment. Whatever its form, if stress is too intense or long-lasting, it can sometimes take a toll on children. Clusters of stressful events seem to predispose children to illness. Major events, especially those that forever change a child's family, like the death of a parent, can have lasting effects on children's psychological health and well-being. Minor daily stresses can also have consequences. They can contribute to loss of sleep or appetite. Children may become angry or irritable or their school grades may suffer. Their behavior and their willingness to cooperate may change. Children's temperaments vary and thus they are quite different in their ability to cope with stress and daily hassles. Some are easygoing by nature and adjust easily to events and new situations. Others are thrown off balance by changes in their lives. All children improve in their ability to handle stress if they previously have succeeded in managing challenges and if they feel they have the ability and the emotional support of family and friends. Children who have a clear sense of personal competence, and who feel loved and supported, generally do well. Certainly, a child's age and development will help determine how stressful a given situation may be. Changing teachers at midyear may be a major event for a child in the first grade and merely an annoyance for a sixth-grader. Being short may be a minor issue for a 5- or 6-year-old boy but a source of daily embarrassment for an adolescent. How a child perceives and responds to stress depends in part on development, in part on experience, and in part on a child's individual temperament. Ironically, many parents believe that their school-age children are unaware of the stresses around them and are somehow immune to them. After all, their children not only have all their basic needs met, but perhaps they also have a roomful of toys, friends to share them with, plenty of playtime, and a full schedule of extracurricular activities. Yet children are very sensitive to the changes around them, especially to the feelings and reactions of their parents, even if those feelings are not communicated directly in words. If a parent loses a job, children will have to adjust to their family's financial crisis; they must deal not only with the obvious family budgetary changes but also with the changes in their parents' emotional states. Children may have to cope with a bully on the playground, a move to a new neighborhood, a parent's serious illness or the disappointment of a poor sports performance. They might feel a constant, nagging pressure to dress the "right" way, or to achieve the high grades that can put them on the fast track toward the "right" college. Some psychologists believe that today's middle-years youngsters actually are faced with more stress than the children of previous generations were and have fewer social supports available. The change in family structure from the large, supportive, extended families (including both parents, aunts, uncles and grandparents) of previous generations, to the present high incidence of divorced families, single-parent families and stepfamilies has drastically altered the experience of childhood. Millions of youngsters must adjust to such changes. Even in intact and stable families, the growing number of households with two working parents often forces children to spend more time in after-school programs or at home alone. For some children this loss of time with their parents is quite stressful. So, too, is the responsibility for caring for themselves and the family home and sometimes for overseeing a younger sibling after school. Many children and their families are stressed by the multiple activities that fill children's "free time.'' Overscheduled children with inadequate "down time'' can become exhausted. Today's children are also being raised in an era in which they are exposed to violence and peer pressure about sexual activity and drug use and are warned to be cautious about kidnapping, sexual abuse and other crimes. This sense that they are living in an unsafe world is a constant source of stress for some children. In short, today's youngsters are regularly confronted with challenges to their coping skills and often are expected to grow up too fast. Not all stress is bad. Moderate amounts of pressure imposed by a teacher or a coach, for example, can motivate a child to keep her grades up in school or to participate more fully in athletic activities. 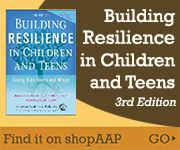 Successfully managing stressful situations or events enhances a child's ability to cope in the future. When the stress is continuous or particularly intense, it takes a toll on both the psyche and the body. Sudden stressful events will accelerate your child's breathing and heartbeat, constrict her blood vessels, increase her blood pressure and muscle tension and perhaps cause stomach upset and headaches. As stress persists, she might be more susceptible to illness and experience fatigue, nightmares, teeth-grinding, insomnia, tantrums, depression and school failure.